Providing First Aid and CPR certificates for the childcare industry on the Northern Beaches is our pleasure. The HLTAID004 Provide an Emergency First Aid Response in an Education and Care Setting is for Certificate III students to complete their Childcare course. Book in online today to secure your spot in a first aid or CPR course at the Dee Why RSL on the Northern Beaches. Food allergy occurs in around 1 in 20 children and in about 2 in 100 adults. The most common triggers are egg, cow’s milk, peanut, tree nuts, seafood, sesame, soy, fish and wheat. The majority of food allergies in children are not severe, and may be ‘outgrown’ with time. However, peanut, tree nut, seed and seafood allergies are less likely to be outgrown and tend to be lifelong allergies. Some food allergies can be severe, causing life-threatening reactions known as anaphylaxis. An allergy is when the immune system reacts to a substance (allergen) in the environment which is usually harmless (e.g. food, pollen, animal dander and dust mite) or bites, stings and medications. This results in the production of allergy antibodies which are proteins in the immune system which identify and react with foreign substances. An allergic reaction is when someone develops symptoms following exposure to an allergen, such as hives, swelling of the lips, eyes or face, vomiting or wheeze. It is important to note that only some people with allergy antibodies will develop symptoms following exposure to the allergen, hence confirmation of allergy by a clinical immunology/allergy specialist is required. Allergic reactions range from mild to severe. Anaphylaxis is the most severe form of allergic reaction. Although Mild, moderate and even severe allergic reactions (anaphylaxis) to foods are common in Australia and New Zealand. However, deaths from anaphylaxis due to food allergy are rare in Australia and New Zealand. Most deaths can be prevented by careful allergen avoidance measures and immediate administration of an adrenaline autoinjector. The most common foods causing life-threatening anaphylaxis are peanuts, tree nuts, shellfish, milk and egg. Symptoms of anaphylaxis affect our breathing and/or our heart. Less common symptoms of food allergy include infantile colic, reflux of stomach contents, eczema, chronic diarrhoea and failure to thrive in infants. The term allergy is often misused to describe any adverse reaction to foods which results in annoying (but ultimately harmless) symptoms such as headaches after overindulging in chocolate or red wine, or bloating after drinking a milkshake or eating too much pasta. While these reactions are not allergic, the result is a widespread impression that all adverse reactions to foods are trivial. Adverse reactions to foods that are not allergy include food intolerances, toxic reactions, food poisoning, enzyme deficiencies, food aversion or irritation from skin contact with certain foods. These adverse reactions are often mistaken for food allergy. How common is food allergy and is it increasing? Studies have shown that food allergy affects 10% of children up to 1 year of age; between 4-8% of children aged up to 5 years of age and approximately 2% of adults. Hospital admissions for severe allergic reactions (anaphylaxis) have doubled over the last decade in Australia, USA and UK. In Australia, admissions for anaphylaxis due to food allergy in children aged 0 to 4 years are even higher, having increased five-fold over the same period. Why the rise in food allergy? We currently do not have clear information as to why food allergy seems to have increased so rapidly in recent years, particularly in young children. This area requires additional research studies, several of which are already underway. Hygiene hypothesis, which proposes that less exposure to infections in early childhood, is associated with an increased risk of allergy. A more recent version of the hygiene hypothesis proposes that the make-up and type of the micro-organisms to which the mother, baby and infant is exposed and colonised with may alter allergic risk. Delayed introduction of allergenic foods such as egg, peanut or tree nuts. Methods of food processing, such as roasted versus boiled peanuts. Development of allergy to food by skin exposure such as the use of unrefined nut oil based moisturisers. These areas require additional research studies, several of which are underway. Nine foods cause 90% of food allergic reactions, including cow’s milk, egg, peanut, tree nuts, sesame, soy, fish, shellfish and wheat. Peanut, tree nuts, shellfish, fish, sesame and egg are the most common food allergens in older children and adults. Other triggers such as herbal medicines, fruits and vegetables have been described and almost any food can cause an allergic reaction. When does food allergy develop? Food allergy can develop at any age, but is most common in young children aged less than 5 years. Even young babies can develop symptoms of food allergy. Your doctor will normally ask a series of questions that may help to narrow down the list of likely causes such as foods or medicines consumed that day, or exposure to stinging insects. This approach will also help to exclude conditions that can sometimes be confused with food allergy and anaphylaxis. Skin prick allergy tests or allergy blood tests help to confirm or exclude potential triggers. Sometimes a temporary elimination diet under close medical and dietetic supervision will be needed, followed by food challenges to identify the cause. Long term unsupervised restricted diets should not be undertaken, as this can lead to malnutrition and other complications such as food aversion. Most of the time, children with food allergy do not have parents with food allergy. However, if a family has one child with food allergy, their brothers and sisters are at a slightly higher risk of having food allergy themselves, although that risk is still relatively low. Some parents want to have their other children screened for food allergy. If the test is negative, that may be reassuring, but does not mean that the other child will never develop an allergy in the future. If their screening test is positive, it is not always clear whether it definitely represents allergy. In this situation, a food challenge (under medical supervision) may be required to confirm the allergy. It is important to know that a positive skin prick allergy test or allergy blood test means that the body’s immune system has produced a response to a food, but sometimes these are false positives. In other words, the test may be positive yet the person can actually eat the food without any symptoms. For this reason, it is important to confirm the significance of a positive allergy test (in some circumstances) with a supervised food challenge. In a child with a positive test of uncertain meaning, this is often done around school entry age under medical supervision. Interpretation of test results (and whether challenge should be undertaken) should be discussed with your doctor. There are several methods of unorthodox so called tests for food allergy. Examples include cytotoxic food testing, Vega testing, kinesiology, allergy elimination techniques, iridology, pulse testing, Alcat testing, Rinkel’s intradermal skin testing, reflexology, hair analysis and IgG food antibody testing. These have no scientific basis, are unreliable and have no useful role in the assessment of allergy. These techniques have not been shown to be reliable or reproducible when subjected to formal study. ASCIA advises against the use of these tests for diagnosis or to guide medical treatment. No Medicare rebate is available in Australia for these tests, and their use is also not supported in New Zealand. Most children allergic to cow’s milk, soy, wheat or egg will ‘outgrow’ their food allergy. By contrast, allergic reactions to peanut, tree nuts, sesame and seafood persist in the majority (~ 75%) of children affected. When food allergy develops for the first time in adults, it usually persists. The increased frequency of food allergy is driving research into areas such as prevention, treatment and why it has become more common. Current areas of research include allergen immunotherapy (also referred to as desensitisation) to switch off the allergy once it has developed. Initial results are encouraging but it is not yet ready for routine clinical use. Research continues to explore new ways of more effectively treating this condition. Many people with food allergies will have an accidental exposure every few years, even when they are very careful to avoid the foods they are allergic to. The difficulties of avoiding some foods completely make it essential to have an ASCIA Action Plan for Anaphylaxis if an adrenaline autoinjector has been prescribed. Be aware of cross contamination of food allergens when preparing food. The good news is that people with food allergy can learn to live with their condition with the guidance of their clinical immunology/allergy specialist and a network of supportive contacts. Having an ASCIA Action Plan for Anaphylaxis and adrenaline autoinjector offers reassurance, but this is not a substitute for strategies to minimise the risk of exposure. Allergy & Anaphylaxis Australia (www.allergyfacts.org.au/) and Allergy New Zealand (www.allergy.org.nz) are community support organisations that offer valuable updates and tips for living with food allergies. Learning basic first aid techniques can help you cope with an emergency. You may be able to keep a person breathing, reduce their pain or minimise the consequences of injury or sudden illness until an ambulance arrives. This could mean the difference between life and death for them. It is a good idea to take a first aid course so that you can recognise an emergency and give basic first aid until professional help arrives. First aid is as easy as ABC – airway, breathing and CPR (cardiopulmonary resuscitation). In any situation, apply the DRSABCD Action Plan. Danger – always check the danger to you, any bystanders and then the injured or ill person. Make sure you do not put yourself in danger when going to the assistance of another person. Response – is the person conscious? Do they respond when you talk to them, touch their hands or squeeze their shoulder? Send for help – call triple zero (000). Don’t forget to answer the questions asked by the operator. Airway – Is the person’s airway clear? Is the person breathing? If the person is responding, they are conscious and their airway is clear, assess how you can help them with any injury. If the person is not responding and they are unconscious, you need to check their airway by opening their mouth and having a look inside. If their mouth is clear, tilt their head gently back (by lifting their chin) and check for breathing. If the mouth is not clear, place the person on their side, open their mouth and clear the contents, then tilt the head back and check for breathing. Breathing – check for breathing by looking for chest movements (up and down). Listen by putting your ear near to their mouth and nose. Feel for breathing by putting your hand on the lower part of their chest. If the person is unconscious but breathing, turn them onto their side, carefully ensuring that you keep their head, neck and spine in alignment. Monitor their breathing until you hand over to the ambulance officers. CPR (cardiopulmonary resuscitation) – if an adult is unconscious and not breathing, make sure they are flat on their back and then place the heel of one hand in the centre of their chest and your other hand on top. Press down firmly and smoothly (compressing to one third of their chest depth) 30 times. Give two breaths. To get the breath in, tilt their head back gently by lifting their chin. Pinch their nostrils closed, place your open mouth firmly over their open mouth and blow firmly into their mouth. Keep going with the 30 compressions and two breaths at the speed of approximately five repeats in two minutes until you hand over to the ambulance officers or another trained person, or until the person you are resuscitating responds. The method for CPR for children under eight and babies is very similar and you can learn these skills in a CPR course. Defibrillator – for unconscious adults who are not breathing, apply an automated external defibrillator (AED) if one is available. They are available in many public places, clubs and organisations. An AED is a machine that delivers an electrical shock to cancel any irregular heart beat (arrhythmia), in an effort get the normal heart beating to re-establish itself. The devices are very simple to operate. Just follow the instructions and pictures on the machine, and on the package of the pads, as well as the voice prompts. If the person responds to defibrillation, turn them onto their side and tilt their head to maintain their airway. Some AEDs may not be suitable for children. Book a first aid or CPR course with Simple Instruction on the Northern Beaches with courses conducted at the Dee Why RSL. HLTAID003 Provide first aid is our most popular first aid course and the HLTAID004 Child Care first aid course for anyone in the child care industry under ACECQA. The HLTAID001 Provide CPR is a great refresher training course for those looking top update their skills.All courses are conducted under the auspices of Allen’s Training RTO 90909 and the accredited and preferred supplier on the Northern Beaches of Sydney. All training course participants will receive a free manual, free chart and free CPR face shield. Simple Instruction is based in Sydney’s Northern region (North Shore and Northern Beaches) but is willing to travel all over Sydney to complete nationally accredited training courses. We provide public training courses at The Dee Why RSL and are more than happy to come to your workplace, home, child care facility etc. Provide First Aid HLTAID003 is a comprehensive course that will give you the knowledge, skills and confidence to help an ill or injured person until emergency help arrives. You will learn the DRSABCD action plan as well as Provide Cardiopulmonary resuscitation HLTAID001 (Including defibrillation), asthma, anaphylaxis and the management of various injuries and illnesses. Provide an emergency first aid response in an education and care setting HLTAID004 is required by ACECQA for anyone working with children including those completing their certificate 3 at TAFE in child services. The First Aid training course has essential free online pre-work to be completed before you attend the course. Payment is easy and cheap. All course bookings receive a free manual, free CPR face shield, free CPR chart and a Dee Why RSL pen. All courses are conducted under the auspices of Allen’s Training Pty Ltd RTO 90909 and are Nationally recognised and accredited. CPR Performed on Collaroy Beach, Northern Beaches, Sydney. A sad incident on the Northern Beaches where members of the public have performed CPR on a man who unfortunately has passed away. CPR is crucial life skill to learn and a massive congratulations should go to the people who got involved to help this man. Please remember that doing something is better than nothing when faced with a first aid situation. Follow the DRSABCD guidelines and you might be able to help a family member, friend or another member of the public. Please get trained in CPR and first aid to help keep the Northern Beaches a safe place – it is a life saving skill that you may need one day. A man has died at Collaroy Beach, on Sydney’s northern beaches, this afternoon. Police said emergency services were called to Collaroy, just before 4.30pm, after a man was found unconscious in the water. Members of the public commenced CPR on the man, aged in his 70s, before surf lifesavers arrived. NSW Ambulance Paramedics and police attended, but he died at the scene. Officers from Northern Beaches Police Area Command have commenced investigations into the incident. Initial inquires suggest there are no suspicious circumstances. All accredted training courses are held at the Dee Why RSL conducted under the auspices of Allen’s Training RTO 90909. If you are completing the TAFE Certificate III in Early Childhood Education and Care then this is the ideal course for you. This is conducted locally on the Northern Beaches of Sydney, however, we do come to your Child Care Centre for private courses. The HLTAID004 unit of competency describes the skills and knowledge required to provide a first aid response to infants, children and adults. The HLTAID004 unit applies to educators and support staff working within an education and care setting who are required to respond to a first aid emergency, including asthmatic and anaphylactic emergencies. This unit of competency will contribute towards approved first aid, asthma and anaphylaxis training under the Education and Care Services National Law, and the Education and Care Services National Regulation (2011). This HLTAID004 unit of competency has been approved by ACECQA and meets the requirements of “First Aid, Asthma & Anaphylaxis”. Belrose, Narraweena, Frenchs Forest, Narrabeen, Manly, CBD, Brookvale, Cromer, Dee Why, Avalon, Pittwater, Mona Vale, Warringah, Curl Curl, Allambie, Balgowlah, Long Reef, QueensCliff. At the National Asthma Council Australia, we know that if you are one of the 7 million Australians with allergy or the 2 million with asthma, you want to know how you could improve the health and wellbeing of you and your family. That’s why we developed the Sensitive Choice® program. Our Sensitive Choice® blue butterfly symbol is a way of recognising products and services from companies that support asthma and allergy care. Products that carry the blue butterfly may be better choices for people with asthma and allergies. The Sensitive Choice® program has over 200 products and services carrying the blue butterfly. Through a partnership between the Asthma and Respiratory Foundation of New Zealand and the National Asthma Council Australia, New Zealanders are also able to benefit from this program. The program is a type of sponsorship program, although approved products and services must satisfy our independent Product Advisory Panel they do no harm and may offer relative benefits to people with asthma or allergies. If you see the blue butterfly when shopping, stop for a moment and think about your family’s asthma and allergy care. Do you know your triggers? Are you taking steps to reduce your exposure to your triggers? Have you had an asthma and allergy review with your doctor recently? Do you follow your asthma or allergy action plan? On Friday March 2, 15 of our students and 14 students from Pittwater High School participated in a Apply First Aid Assessment day run by Mr Wood (PE). Prior to their practical and theoretical assessments on the day, all students hadto complete a rigorous online workbook detailing many of the issues that may be faced by a qualified first aider. These 29 students undertook the certification to contribute towards the community service component of their Bronze Award. I would like to extend a huge thank you to Mr Wood for coordinating the day and enabling these students to achieve this three-year qualification. it comes to water safety, the stars of Home and Away aren’t taking any chances. Beach, he was thankful for the basic training he had received as a kid. absolutely imperative for that one time when you need it,” he said. options to cut the cost. necessity of knowing the basics before heading out into the water. need to know these vital skills.” she said. knowing someone experienced had their back. they are should that situation ever come up,” she said. of drama in store for the residents of Summer Bay. all our characters. A lot of juicy stuff to come,” Whitehead said. going so well for so long,” she said. Simple Instruction is supporting this iniative to get CPR and First Aid into schools. Simple Instruction has been conducting courses for schools on the Northern Beaches and around Sydney for the past 2 years. Schools such as Narrabeen Sports High School, Barrenjoey High School, Ryde Secondary College, Hunters Hill High School, Balgowlah Boys High School and Mascot High School have taken this opportunity to increase the safety in the school with training to over 300 students and teachers in First Aid and CPR. Simple instruction also has public Apply First Aid and Perform CPR courses most Saturdays at The Brookvale Hotel for anyone who would like to come along in 2012. The young marathon runner was still lying face down and showed no signs of life when Penelope Little arrived. “As soon as I rolled him over it was very obvious … he wasn’t breathing and … I could tell pretty quickly he needed CPR [cardio pulmonary resuscitation],” the NSW Ambulance spokeswoman said. There were lots of people around but no one had tried to turn him over, let alone start CPR. They’d called for help and left it at that. It’s common for bystanders to do nothing when someone has collapsed and wait for “someone in a uniform” to turn up. Studies from the US have shown that the primary reason bystanders don’t attempt CPR is fear of not doing it correctly but, as Harvard Medical School states in its public health guides, “Poor CPR is better than no CPR” (see box). Presuming CPR requires an expert is probably the most serious first-aid misconception, but as NSW Ambulance and St John Ambulance will attest, there are plenty of others. Take fainting, for example. It’s common for well-meaning people to try to get someone who has fainted to sit up. In fact, they should be left lying down. St John Ambulance deals with a lot of fainting during the Royal Easter Show, Little says, particularly among elderly visitors. It happens everywhere from the showbag pavilion to the scones ”and it’s amazing how many times you get there and someone is trying to prop this woman up on a chair when all she wants to do is faint and lie back on the ground”. Other scenarios where paramedics and St John Ambulance volunteers commonly encounter misapprehensions include bleeding noses, burns, poisoning, penetrating injuries, choking, diabetic coma and seizures. People often don’t realise that diabetics can lapse into a coma due to high blood sugar as well as low blood sugar, Caroline Woods, an intensive care paramedic with the Ambulance Service of NSW, says. Feeding sugar to someone who is having a high blood sugar (hyperglycemic) attack is only going to make things worse. Little recalls attending to a seven-year-old girl having a seizure and her father had his hand in her mouth, holding onto her tongue in the mistaken belief he was stopping her from swallowing it. “I said to him, ‘take your hand out of her mouth and let her have her seizure’,” she says. “Never try to hold down someone who is having a seizure,” Woods says. Clear them a space and put something soft under their head if possible. Don’t put anything in their mouth. It’s not actually possible for someone to swallow their own tongue. People often bite their tongue during a seizure, but they’re highly unlikely to bite through it so don’t panic, she says. “In my job, you often wish that a bystander had been more helpful. We are so lucky with NSW Ambulance that when you dial 000 they will give you advice over the phone but often people are hysterical or they don’t listen to that advice or they hang up. St John Ambulance runs regular first-aid courses and recommends a CPR refresher every 12 months. Your closest Apply First Aid and Perform CPR course on The Northern Beaches is at The Brookvale Hotel. Come along and get trained by Simple Instruction and enjoy a fun day out. fitness industry after the death of a 29-year-old man at a Melbourne gym. years to improve industry regulations. make a change,” she said. existed to date has failed, it’s inadequate,” he said. The gym’s owner, Fitness First, supports the move. 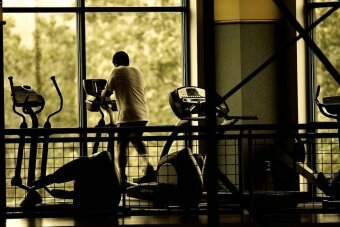 Do you think gyms need tougher regulations? as intended. Regulations concerning drugs just keep the price up. Most of the time I go to the Gym there is no one on duty. No! While I don’t use a gym, I run and work out with weights in my own home. heart attack walking up steps, sad, but that is life. out there to choose from. sanctions on an organisation and/or an individual. no extra risk in a Gym over anything else you do. less rules and more common sense. first aid and CPR training (and I’ve worked in LOTS of SA fitness facilities). was at the gym, at home, or at a hospital. to shop around for another gym! lawyers, etc. and if you don’t like their personality, try another instructor. this in place. You would think, wouldn’t you ? Dee Why RSL offers 4 great restaurants, 6 vibrant bars, live music every night, the best in local, national and international acts and proudly supporting more than 100 community organisations. Simple Instruction is a supporter of public education and has been supporting Narrabeen Sports High School since 2010. Simple Instruction offers 'cost price' training in First Aid and CPR courses, making Narrabeen Sports High School a caring and safer place. Simple Instruction has completed cheaper courses for a variety of public schools across the Northern Beaches and will continue to support the local community.
' I loved the fact that we had most of the theoretical part to do in our own time at home and that the practical part was not a full weekend. The course was dynamic, interesting and encouraged lots of discussion which suited my needs. A great day and the best First Aid course I have ever done!' - Melanie Cleary - 14/01/18 - Belrose Kindergarten. Balgowlah, Fairlight, Manly, Seaforth, Allambie, Beacon Hill, Belrose, Brookvale, Collaroy, Cromer, Davidson, Dee Why, Forestville, Frenchs Forest, Freshwater, Narrabeen, Narraweena, North Curl Curl, Queenscliff, Terrey Hills, Avalon, Bayview, Bilgola Plateau, Church Point, Newport, Mona Vale, Palm Beach, Warriewood. Check out your favourite beach with Coastal Watch or download the Hurley Lite surf watch application on your i phone. CPR training courses in schools. CPR training required to combat drowning deaths.